Roses are a famously high-maintenance flower in the garden, so it's perhaps appropriate that they're also an exacting cake decoration for bakers. Those delicate icing roses aren't as difficult to master as you might think, but they do require a carefully chosen frosting. Cream cheese icing, peanut butter frosting and many others are too soft to hold their shape, so you need to select one that's relatively stiff. Easy to make and sweet on the palate, boiled icing mixes boiling water, egg whites and confectioner's sugar. Beating the icing at a high speed forces the sugar and water to blend. 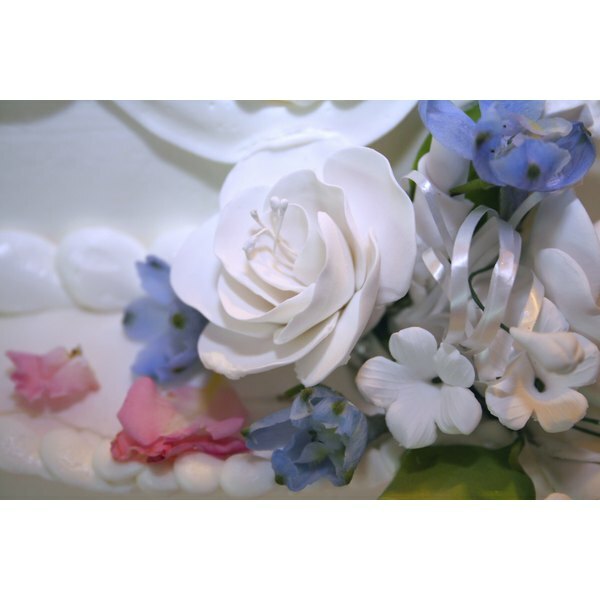 This icing makes pretty buds and small roses. As hot water cools, the eggs begin to set, allowing this icing to harden quickly. Work fast to get the icing into your piping bag, or cover it quickly to prevent it from drying out. A homemade buttercream tastes delicious, and you might have a hard time stockpiling roses before guests and family members swoop in to taste them. Blended with butter, cream and confectioner's sugar, this icing makes lovely roses that can be colored with any hue of food coloring. Give your icing =a stiff consistency by using less milk or cream. Put the colored buttercream in an icing bag fitted with a petal tip, and make your roses on a flower nail. Allow them to dry for several minutes before transferring them to your cake. This icing can be made ahead of time to create hard, candy-like roses to make decorating a cinch. Water, meringue powder and confectioner's sugar are combined with a mixer or hand-beater to make a smooth icing. If you plan to color your roses in shades of red or pink, use a little more food coloring than normal, because this icing tends to fade in bright light. Allow your roses to dry overnight before moving them to a cake or other confection. Roses aren't always made by piping. An alternative method uses rolled fondant -- a special icing made from boiled sugar, or simulated with marshmallows and sugar, that can be rolled and sculpted like modeling clay. Roll the fondant like pie crust to a 1/8-inch sheet, then cut out rounds for your rose petals and tease them into the correct shape with your fingers. 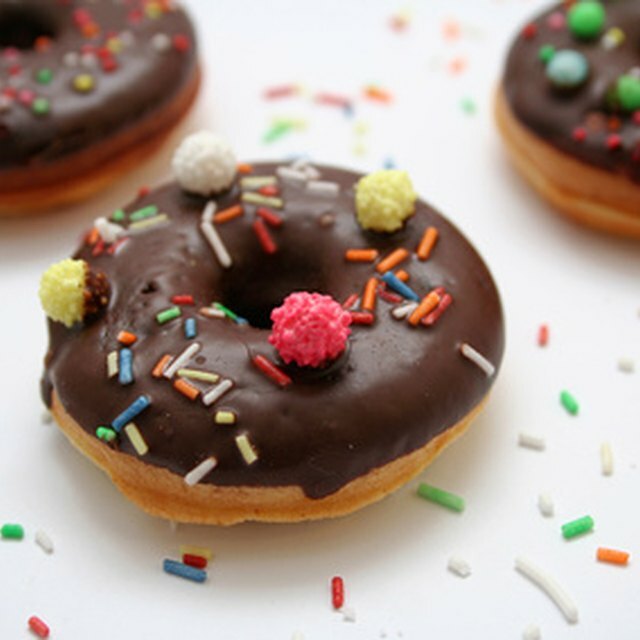 Modeling chocolate, a fondant-like mixture of chocolate and glucose, is used in much the same way. Can You Color Boiled Icing?